Are We Really in the End Times? I recently discussed this topic with Pastor Mark Biltz for my "In Depth With Stephen Strang" podcast, which you can listen to here or at the end of the article. Biltz has been studying the Scriptures from a Jewish perspective to decode the end times and the Antichrist's future system. He says many Christians have a false sense of confidence that they will never take the mark of the beast. The mark the Antichrist chooses, he points out, will be extremely enticing. "I think parents are going to run for the mark of the beast," Biltz says. "They're going to want it because it's going to be so tempting. It's not going to be some ugly thing. It's going to be something that will let you access the internet with your thoughts. So I think people will be deceived because they're going to be passionate about the things of this world." Biltz writes about his findings in his new book, Decoding the Antichrist, which I've had the privilege to publish through Charisma House. 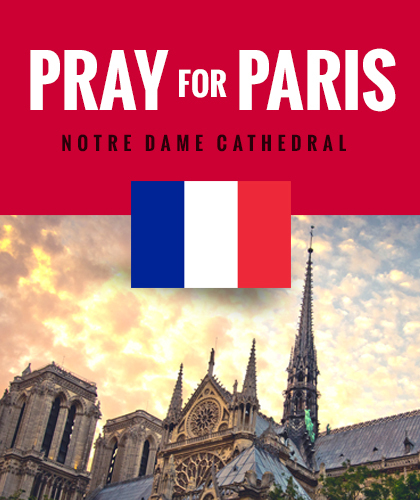 Early sales have already far exceeded our expectations, indicating the book will be a huge success. One point he made in our interview, which he talks more in depth about in his book, is that artificial intelligence will likely play a huge role in creating the mark of the beast—and perhaps even the Antichrist himself. "In this age of artificial intelligence, some are wondering if the Antichrist might be some kind of super-intelligent hybrid human cyborg that will want to be worshipped," he says. "Top experts are warning us of the malicious use of artificial intelligence." Biltz is right; artificial intelligence is advancing at a frightening pace. After all, Google keeps track of more than just what you research online. It tracks where you've been, what you order and even what you do. Just recently, Google gave me a weekly update on everywhere I've been. Even though the report wasn't harmful, it still concerned me that a computer was keeping such detailed track of me. Who's to say an evil person or organization can't use such powerful technology to harm God's people? "When it comes to this artificial intelligence, what's really creepy is the driverless cars they have now that will drive for you because of GPS," Biltz says. "They're creating a computer that's driving your car, and they're giving it a moral artificial intelligence. If you're in the back seat and that car is driving, and a deer runs in front of your car, the computer has to know: 'Do I hit the deer? Do I swerve and hit the two pedestrians? Or do I take the driver down the cliff?' So they're creating a moral intelligence for these computer systems." Will Believers Be Tricked Into Taking the Mark of the Beast? But whether or not the Antichrist will use artificial intelligence to persecute believers and take control, Biltz says he will still use other methods to deceive people. "The apostle John declared that there were many Antichrists at his time," Biltz explains. "But what was interesting is that he said they came out from among us, as if they were a type of professing Christian. And Paul says Satan comes as an angel of light and his ministers are ministers of righteousness. ... He wants to come across as a believer, which will be very deceptive. We have to know [the Antichrist's] modus operandi. I think he's going to have very flowery language. I think he's going to be solid, wealthy, famous and powerful. Biltz says his message is resonating with people across the world. His El Shaddai Ministries church in Tacoma, Washington, represents a wide variety of ethnic groups and Christian denominations. And his online congregation is even more diverse—the 250,000 people who watch Biltz's church service online come from over 30 nations. "I couldn't [draw this crowd,]" he says. "This is why I know it has to be a God thing. We have all the different cultures, different countries, wanting to come back to the original. And for me, that's pretty exciting." 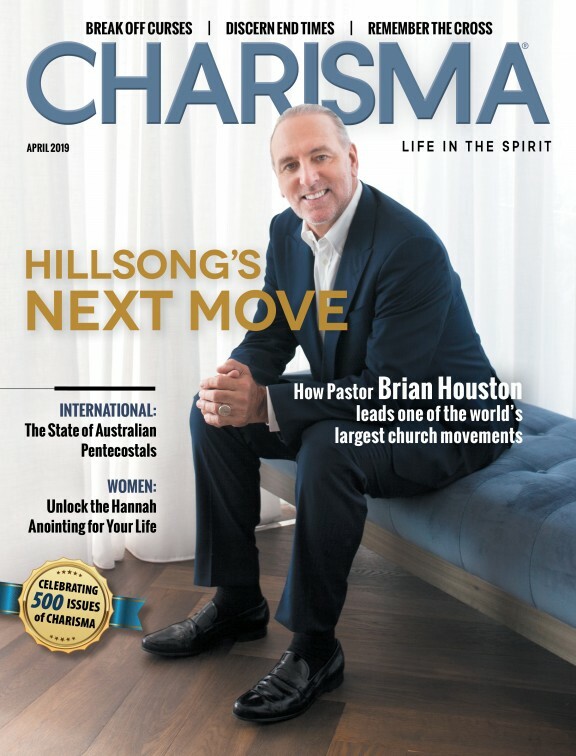 If you want a free copy of Biltz's book, Decoding the Antichrist, just subscribe to Charisma magazine at charismamag.com/decoding. You can buy one year for $20 or two years for $30. This is just our way of saying thank you for your continued support as we have reported on what the Holy Spirit is doing for the last 40-plus years. Be sure to listen to my entire interview with Biltz below!